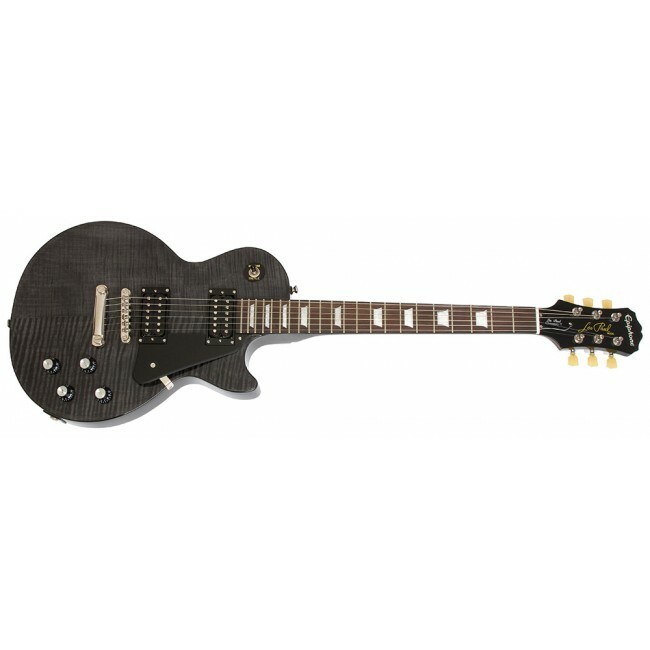 From Epiphone, we have of the worlds most affordable incarnations of a Les Paul with fast and dependable self-tuning, the Epiphone Les Paul Classic-T contains some fantastic appointments and beautiful looks that will impress even the most demanding of guitarists. The body of the Epiphone Les Paul Classic T is crafted from mahogany and is finished with a classic carved, flame maple top. The 3-piece hard maple neck is glued in and sports a rosewood fingerboard containing 22 frets and trapezoid positional block inlays. 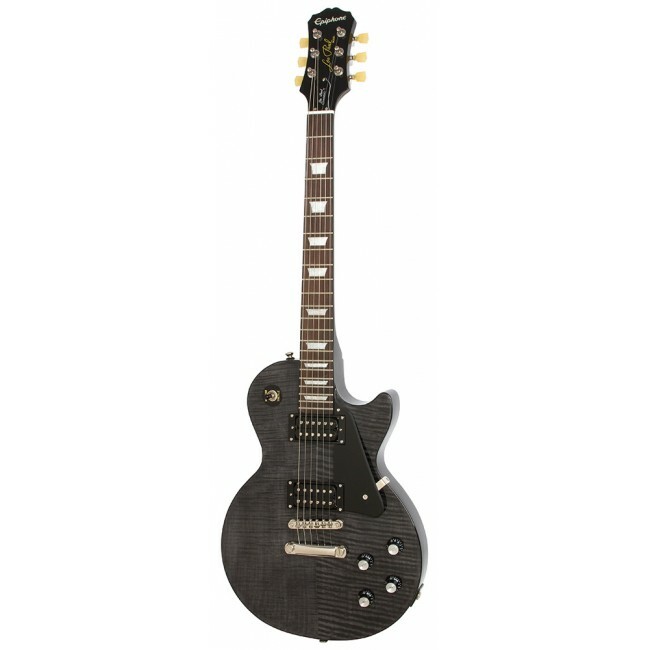 The Epiphone Les Paul Classic-T contains 2 CeramicPro pickups that deliver that classic Les Paul tone and performance that so many guitarists the world over know and love. Other amazing features include the SpeedNut that claims to be harder than bone yet slippery enough for solid coursing and tuning. Spend less time tuning and more time playing. The Min-ETune is an innovative built in tuning system that is capable of tuning your guitar in just 3 seconds and 1 strum. With the internal lithium battery you'll get 80 - 100 tunings on just one charge. Choose from 12 popular tunings or program 6 of your own. The Min-ETune sits on the back of the headstock and is barely visible from the front. With the Min-ETune, your Guitar looks the same, rocks the same and you can still manually tune but with a Min-ETune, you have a great enhancement to an already stunning guitar. 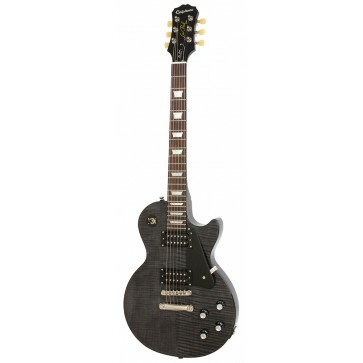 The Epiphone Les Paul Classic-T Min-Etune Electric Guitar delivers nothing short of professional features, tone and look but manages to give you all this at a fantastic price.